You’ve lost your memory. A woman has been murdered. Your husband is keeping secrets. How do you know who to trust? Months after a being involved in a terrible car crash, Bryn Harper is physically healed but her emotional scars remain raw. She has no memory of the accident and is plagued with bad dreams. When Bryn and her husband, Guy, host a dinner party Bryn swears money has been stolen while Guy seems unfazed. Bryn confronts the caterer that night and is horrified to discover the woman’s brutally slain body the next day. As the case is investigated, Bryn is dragged into a fresh nightmare and learns that Guy is keeping things from her. Another murder occurs and Bryn realises the danger is getting ever closer to home. How well does Bryn really know the man she loves? Another page turner of a read I’ve picked up in the last week or so. I’m often confounded by female characters who have whirlwind romances and end up married to someone they don’t truly know, but then their stories often make for compelling reading. 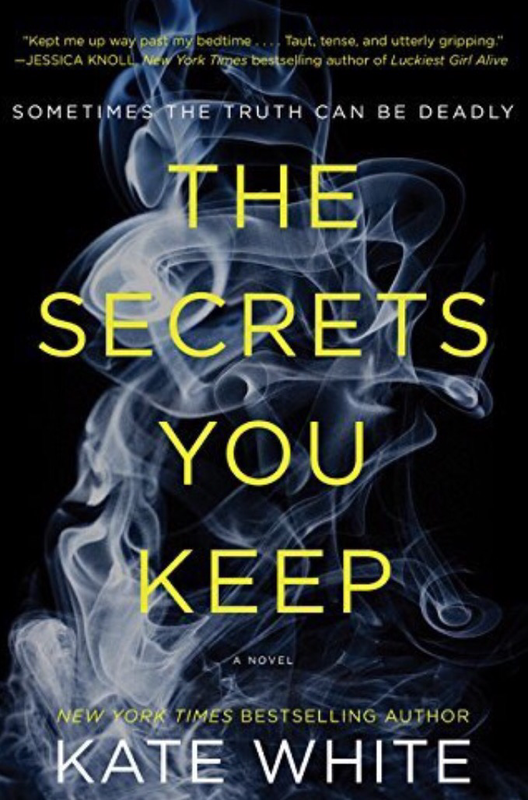 The Secrets You Keep was no exception to this rule. The difference being that in this tale Bryn has not just the mystery of her own husband to unravel, but also the mystery of her missing memory. Fighting nightmares, trying to make new friendships in her summer home town, all while discovering the brutally murdered body of her caterer, and trying to get to the bottom of the inconsistencies and concerns she faces in her life. Flippin’ eck! What a rush! Another one of those books that is both good and not so good for insomniacs…. Picked it up to read one night when I couldn’t sleep, and then couldn’t go back to sleep because I just could not put it down. What is really creepy about this book is that whilst it is something that should never happen in modern society, it is equally something the could happen. Cleverly written with all sides misreading the words and actions of others, simply due to their differing points of view of the same subjects, and the belief that the intentions of others are honourable. 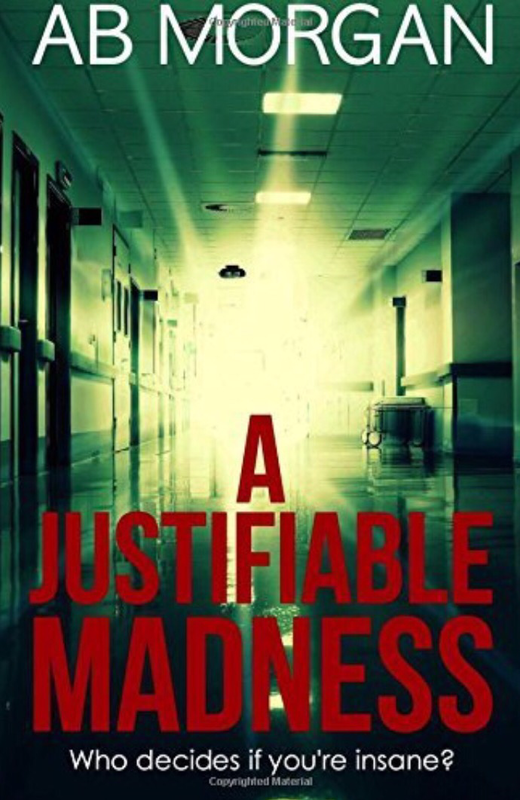 A Justifiable Madness contains moments of subtle humour, that shine a light on a dark and troubling situation, a story that has some roots in truth, and shows how easily power can be abused, and people can come to believe that what they’re being told is the truth, even when it’s not. I know your name’s not really Jane Hughes…. Jane Hughes has a loving partner, a job in an animal sanctuary, and a tiny cottage in rural Wales. She’s happier than she’s ever been, but her life is a lie. Jane Hughes does not really exist. Five years earlier, Jane and her then best friends went on holiday, but what should have been the trip of a lifetime rapidly descended into a nightmare that claimed the lives of two of the women. Jane has tried to put the past behind her but someone knows the truth about what happened. Someone who won’t stop until they’ve destroyed Jane and everything she loves. Opening with Jane in her quiet new life, settled and trying to put the past behind her, the narrative splits in two once we discover, along with Jane, that somebody knows her secret. The first remains with Jane, as she tries to uncover who sent her the message that has threatened her fragile new existence. The second set five years before detailing the frightening and tragic tale of their trip together, the adventure of a lifetime that became the holiday from hell. One of the things I like to see with authors I have read before is progression, and after already enjoying Taylor’s previous novel The Accident (Published as Before I Wake in the US) it was a delight to me to uncover a distinct step up in storytelling and style with The Lie. It has a far more addictive story line, and although I found it quite uncomfortable reading at times, I raced through it in just a single sitting. I say uncomfortable, because of the excellence with which the friendships of the girlfriends are portrayed. I found that the fractures, faults, and issues in their relationships were so well written that I couldn’t help but reflect on my own friendships as I read. Particularly those that, whether missed or not, I have lost over the years, and to me that reaction alone marks The Lie as an outstanding read and one that will linger with me for some time.